Just when you thought it was safe to leave your foot dangling over the side of the bed, Netflix have only come along and brought out an extremely creepy trailer for a new psychological thriller. Velvet Buzzsaw will no doubt prove uneasy viewing for anyone who’s ever felt ‘watched’ by oil painted eyes in an art gallery. Jake Gyllenhaal stars as art dealer Morf Vandewalt, who feels ‘critique is so limiting and emotionally draining’, but has no qualms when dropping some harsh words… ‘No originality, no courage’ he sighs to one poor artist. However, things look set to get decidedly less limited for Morf when he comes into possession of some ‘mesmeric’ paintings from a mysterious, deceased artist. There are no pastoral landscapes, or bowls of fruit to be found in this eerie yet accomplished collection, where contorted faces, flames and grasping hands look just a little too real for comfort. In a gruesome twist, blood has been used to create the vibrant red shades. Strange subject matter and materials aside, it appears there’s something very, very wrong with these paintings, which seem imbued with a dark and malevolent energy. In one scene of the trailer, a character notes, when you look at the paintings long enough, they move. And subsequent horrifying scenes reveal this is not just a paranoid musing. After a series of paintings by an unknown artist are discovered, a supernatural force enacts revenge on those who’ve allowed their greed to get in the way of art. 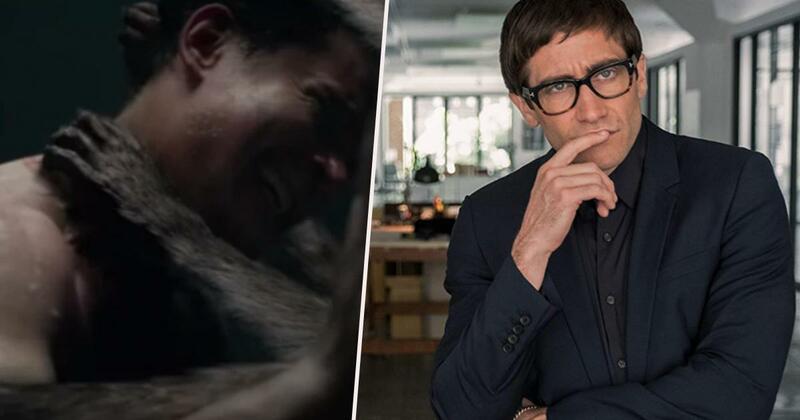 Velvet Buzzsaw is written and directed by Dan Gilroy, who worked with Gyllenhaal on the hit 2014 thriller, Nightcrawler. It was the Tuesday after Christmas, at about 5 o’clock in the afternoon, and no one was there. I was wandering around this huge, empty warehouse with all this rather disturbing contemporary art. The idea that artists invest their souls in their work and it’s more than a commodity — that has always interested me. I suddenly saw a way of incorporating it all, to explore how, when art and commerce are dangerously out of balance, bad things can happen. It clicked very quickly. People who enjoyed Nightcrawler have expressed excitement of Gyllenhaal and Gilroy reuniting once again, in the name of giving us all the heebie jeebies. My man Jake doing one great movie after another. I loved Nightcrawler so can’t wait for this !!! Director of Nightcrawler (2014) which was brilliant and Jake Gyllenhaal is in it, and after watching that trailer I think Netflix has got a hit here. Hereditary scream queen Toni Collette and grouchy Bird Box alumni John Malkovich, will star alongside Gyllenhaal. Will Velvet Buzzsaw prove just as hair raising as their recent offerings? You can catch Velvet Buzzsaw on Netflix from February 1, 2019.